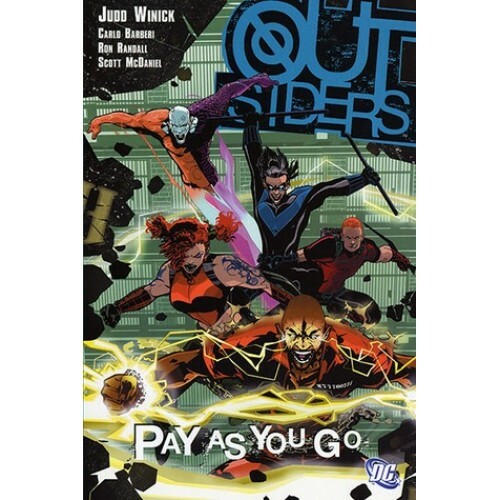 The Outsiders are a unique team of superheroes that handles threats before they become a global problem. They don't wait for trouble to find them, they go looking for it. 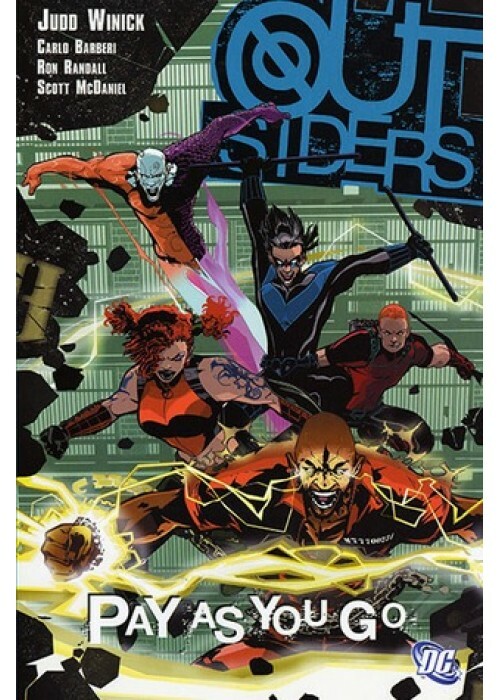 Members of the team include team leader Nightwing, Batman's former sidekick, Grace, a super-strong bouncer; Thunder, the mass-changing daughter of Black Lightning and the shape-shifting being called Metamorpho. This volume features the return of the team after they spend a year off the grid pretending to be dead in order to strike at evil clandestinely. Now they're back on the trail of mad scientist Dr. Sivana in order to stop his worldwide high-tech assault on science. Plus, the events that led to the "death" of the Outsiders are finally revealed.